Time to sell your condo in Kiva Lodge? Read about today's resort-market buyer. 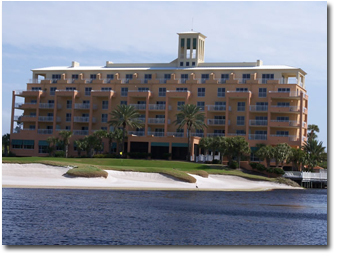 Kiva Lodge condos are located in the Kiva Dunes golf course in Gulf Shores, Alabama off of Fort Morgan Road. Kiva Dunes, one of several golf courses in coastal Alabama, sits on the Gulf of Mexico side of Fort Morgan Road, directly across from Mobile Bay. Kiva Lodge condos are also close to the Peninsula Tennis and Racquet Club, which is just a couple of miles from Kiva Lodge. The property is, as mentioned, on the Gulf side and a short walk to the Gulf of Mexico. Kiva Lodge is approximately 10 miles east of Fort Morgan and the end of the peninsula that contains the majority of the Alabama Gulf Coast's beaches. Kiva Lodge condos are a short drive from the downtown area of Gulf Shores and the public beach/Hangout. Kiva Lodge is also a short drive to Orange Beach, Alabama and the area attractions there, like the Amphitheater at The Wharf and the numerous things to do in Orange Beach. Check out our Orange Beach condos for sale page for more information on The Wharf and other area condos. Please let us know if you would like further info for Kiva Lodge or any other condos, homes or real estate along the Gulf Coast or would like to schedule a private viewing by emailing info@condoinvestment.com or by calling (251) Area-Pro (251-273-2776) for immediate assistance. Additional info for annual rental income for Kiva Lodge and all other Gulf Shores condos.